I created this website in the spirit of adding a personal view on Austria to the image that the official tourism websites propagate. My aim is to show new aspects of the country that go beyond "The Sound of Music" and include both positive and negative aspects. I am also no big fan of the Web 2.0′s idea that majorities can find something like a final truth. I prefer diversity to a majority′s agreement, and in this sense I would like to encourage you to look out for your Austria yourself. However, rankings and majority tendencies are hugely popular. Therefore, I thought I should include a list of those sightseeing spots that attract most attention. Unfortunately, it wasn′t all that easy to get the data from the tourism board as I had thought. 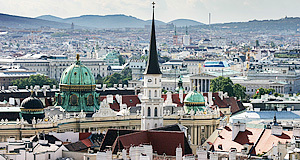 In the following, you will find a short list with the most popular sightseeing attractions of Austria, divided into Federal Provinces ("Bundesländer") and in no particular order. They should sever you as a guideline of what others find particularly interesting in Austria. In addition to that, please try to look for the hidden treasures, too.